In Marlboro, Animal Control is responsible for picking up stray dogs and cats, responding to animal complaints and seeing that all dogs and cats are licensed in the Township. In addition, Animal Control assists with the enforcement of leash and curbing laws. If you find you are in need of Animal Control services, please contact Animal Control at (732) 536-0100 (ext. 1415). The Township of Marlboro is unable to provide services for healthy residential wildlife control. We advise that you call a private residential wildlife control company to assist you with problems. Telephone numbers may be found in the phone book or by online searches. 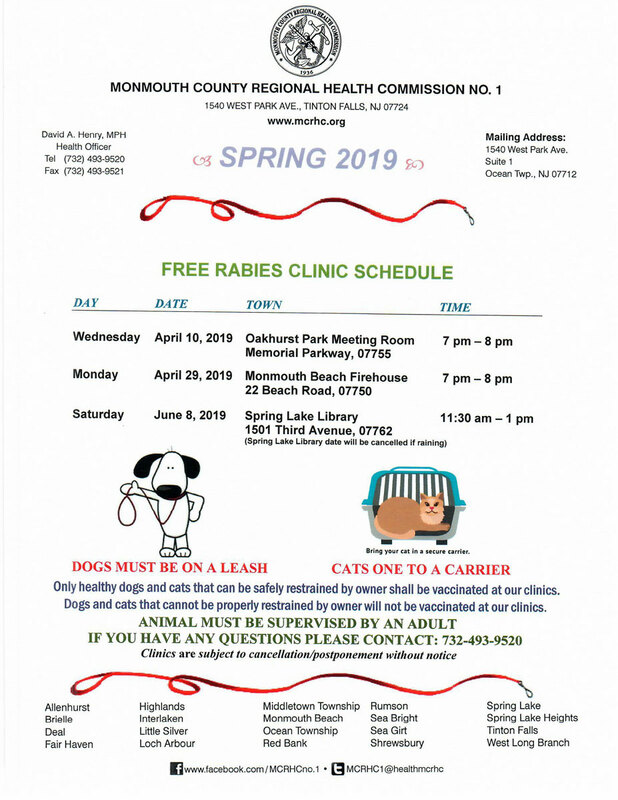 If an animal is acting unusual, appears to be sick, or is threatening you in some way, please contact our Animal Control Officer immediately at (732) 536-0100 (ext. 1415). 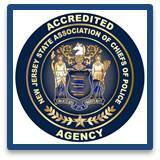 During weekends, and after 4:00pm on weekdays contact the Police Department at (732) 536-0100. If you encounter an injured dog or cat, please contact our Animal Control Officer for assistance at (732) 536-0100 (ext. 1415). During weekends, contact the Police Department at (732) 536-0100. If you encounter an injured wild animal, contact an appropriate wildlife rehabilitator. In New Jersey, cats are the third highest species of animal to encounter rabies. This is largely due to the numbers of stray unvaccinated cats that are found throughout New Jersey. Trap and neuter programs promote vaccinations and the keeping of cat colonies with population control. However, newly vaccinated cats remain protected for only one year and eventually become susceptible again to rabies. Once a stray cat is trapped, it is extremely difficult to trap again for revaccination. As such, given the nocturnal habits, feral cats are more likely to encounter wild raccoons (the natural reservoir for rabies). Therefore, to minimize the threat of rabies to the general public, it is unlawful to feed feral cats in Marlboro Township. There are two species of foxes found in New Jersey: the red fox (Vulpes vulpes) and the gray fox (Urocyon cinereoargenteus). Both species are present throughout the state. Both are classified as game species and are valuable furbearers and have both hunting and trapping seasons. Problems associated with foxes include depredation on domestic animals, perceptions of danger to humans (healthy foxes pose virtually no danger to humans), and their potential to carry disease organisms. Foxes will prey on small livestock such as ducks, chickens, rabbits, and young lambs, but generally do not bother larger livestock. Cats may also be preyed on. Foxes often carry their prey to a secluded area or their den where it is eaten by the adults and young. Foxes, especially red foxes, commonly live in close association with human residences and communities. They frequently inhabit yards, parks, and golf courses, especially areas that adjoin suitable, undeveloped habitat. Foxes can grow accustomed to human activity but are seldom aggressive toward people. Healthy foxes pose virtually no danger to humans. Expanding housing development, particularly in historically rural areas, increases the chances of interactions between humans and foxes, as well as other wildlife. Many homeowners do not realize that their lawn may be a more attractive habitat to foxes than surrounding mature forest. Eliminating healthy foxes is not warranted based solely on human safety concerns. People uncomfortable with the presence of foxes should remove attractants, exclude foxes with fencing and employ scaring techniques. In many cases, homeowner's perceptions of problems are unfounded and in some cases, the mere presence of a fox is perceived as a problem. Animals that appear sick or that are acting abnormally should be avoided. The following symptoms may indicate the presence of rabies or other neurological diseases in mammals: unprovoked aggression, impaired movement, paralysis or lack of coordination, unusually friendly behavior and disorientation. Local animal control officers, police, or the Division of Fish and Wildlife's Wildlife Control Unit or the DEP Hotline (877-WARN-DEP) should be contacted if assistance is needed with a diseased animal. The coyote hybrid, known as the coywolf is currently most commonly called “eastern coyote”. However, recent research suggests that this animal is both genetically and morphologically intermediate to western coyotes and eastern wolves. So, even though most people refer to these animals in the Northeast simply as “coyotes”, their background is much more complex and recent science states that we should more properly call this animal coywolf. If a coyote/ coywolf is seen on your property or any other wildlife, just monitor the situation. If the wildlife is just passing through without showing signs of injury or aggression (possible rabid) then there is no need to call the Animal Control Department. We can only handle sick or injured wildlife within Marlboro Twp. It is against State policy for Animal Control to remove or relocate any Wild Turkeys. Animal Control can assist with only sick or injured wildlife. We have been working with the DEP in attempts to reduce the population with a trapping program that only DEP can regulate. For further assistance or more information regarding Wild Turkeys, please visit the state website.